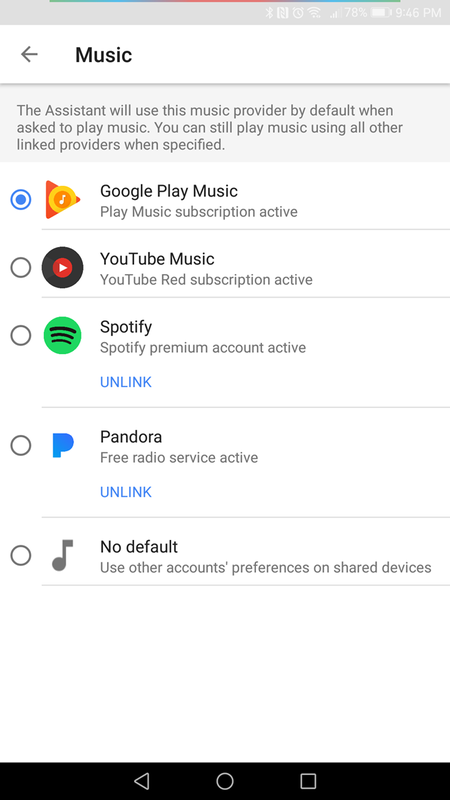 Google will let each user have their own default music provider. No more sharing your Google Play Music. Tapping the “Feeling Lucky?” card will no longer subject you to periodic blasts of your housemate’s heavy metal music mixed in with your preferred history of listening to R&B tracks. With this new feature, your Home will use your preferred service when you make a music request. You will still be able to use other linked services, including those attached to other users' accounts, by simply adding the name of the service to your request. Each user can select their default music provider. Let's go through some examples. Let me introduce you to Carolina and Eric, roommates living in a condo with three Google Homes. Carolina's default music service is Google Play Music and Eric's is Spotify. Each have their own premium accounts. Here are some sample requests and what would result from them. As you can see, one of the great benefits here is that both users have access to the other's premium account. Carolina and Eric can play each other's playlists if they know the playlist's name. Service-generated playlists are also available to both. In addition to these services, you can also link Pandora (free or premium) and YouTube Music to users' accounts. During my testing, I discovered an interesting flaw (or feature?) that Google was unaware of. 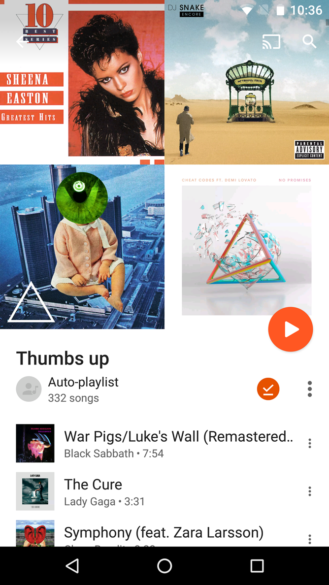 I found out that, using my example users, if Eric is playing a track on Carolina's Google Play Music and tells Home that he likes it, it will be added to Carolina's "Thumbs Up" list. It works the same for Spotify. If Carolina says she likes a song on Eric's Spotify account, it's marked as liked on Eric's account. Both of these actions will affect the associated playlist and influence auto playlists. A representative at Google Support told me they were sharing this issue I encountered with their developers. At the time of this writing, the flaw still exists - so be nice to the other users in your household or find your "Thumbs Up" playlist full of hated tracks. Eric's heavy metal taste infiltrates Carolina's preference for pop hits. When it comes to video, the situation is similar to music but the amount of voice control is limited. Making requests to play videos from YouTube with no further specification will play media based on the individual's YouTube account. Each individual's watch history will be updated accordingly. There is no crossover. Furthermore, you can't like or dislike videos through the Home, so that mix of tastes you see with music won't happen. Currently, the only premium movie and TV service supported is Netflix. Your Home will play from your linked Netflix service or, if you didn't link one, it will play from the Netflix account of another linked user. In other words, Netflix is shared across all users. You can't like or dislike Netflix media from the Home. Simple. Here is where the doors are wide open. All users' speakers, TVs, and speaker groups are shared across all users. By trailing your request with a specific device or named group, the media will be directed there. If Carolina has defined a speaker group named "Chill Zone" that includes her Chromecast audio connected to her stereo receiver and the Home in her bathroom, any user can send media to that group. That sounds like a great way for Eric to wake her up at 5:00am just for fun. 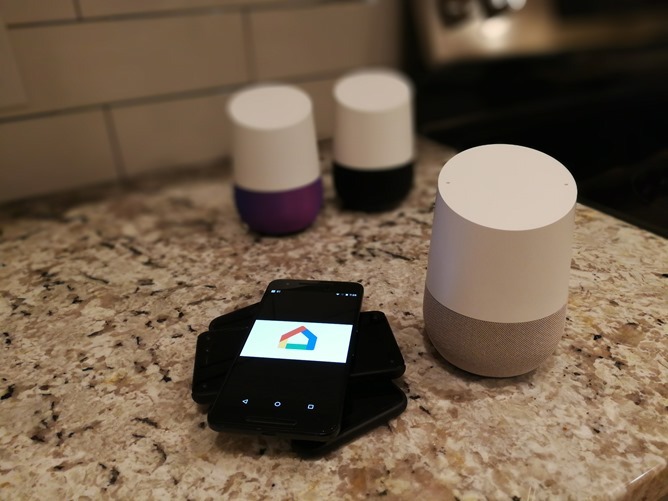 If an unlinked user, such as a visitor, makes a media request, the Google Home will use the service associated with the first person who linked their voice to that Google Home. The media services connected by this person become the default services. If a request is made using a service that the first user has not set up, the service set up by another user will be used. Carolina was the first to link her voice on each Google Home. She doesn't have a Netflix account but Eric has linked his Netflix account in the Google Home app. If a request to play music is made without specifying a service, it will play from Carolina's Play Music account. If a request to play a movie on Netflix is made, it will use Eric's Netflix account. 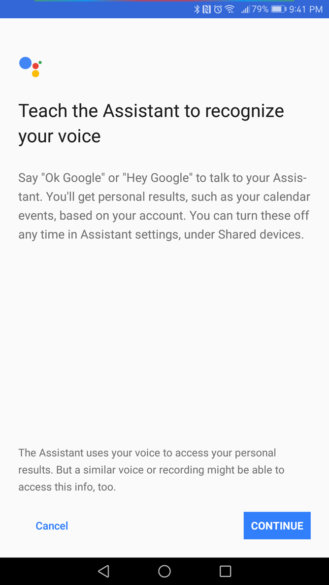 The Google Home app has a separate process for linking your voice. This user is likely the person who set up Google Home, but may not be if that person hasn't linked their voice. 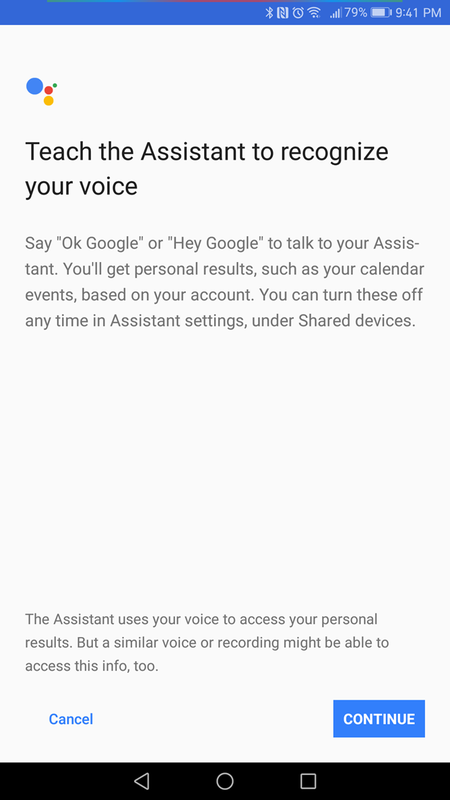 There is no way to tell who first linked their Google Account and voice from within the Google Home app. You must ask all linked users when they linked their Google Account and voice to be sure who is the first person. Here's how to manage linked users. So, if you are adding Homes to your household over time, you'll have to call a meeting and do an investigation if you happen to have forgotten this important fact. Alternatively, you can reset your Homes and systematically set them up again. Once you have everything set up, the media sharing is a nice feature that moves Google Home another step forward. Just don't ask it to remind you to buy milk. It's still learning.